Throw yourself into this diverse and multidimensional land and try some of the best food in South-East Asia, if not the world. The mainland is surrounded by many beautiful, untouched archipelagos, that you can explore to your heart’s content. Malaysia is certainly a place that you should more than consider visiting when on your travels. Whether you are looking for a fun-packed family action holiday or a lush, relaxing retreat where you can kick back relax and forget all of the stress that burdens you back home, Malaysia is the place for you. What plug sockets are used in Malaysia? 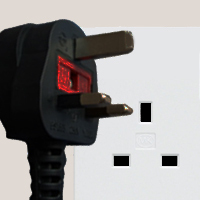 In Malaysia the plug sockets used are type G, the following pictures show the outlets and plugs needed. When traveling from the UK you will need an adapter for types G.
What voltage & frequency is used in Malaysia?